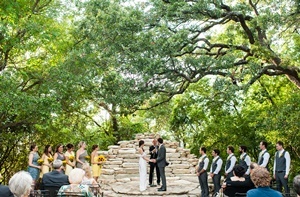 Here are some of the best Austin wedding venues and venues to get married in Austin. These wedding venues are some of the best wedding venues to share your magical moment with friends and relatives. 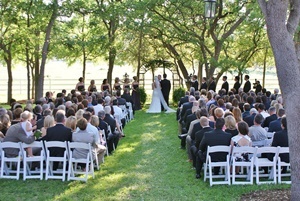 All of these Austin wedding ceremony and wedding reception sites specialize in making your wedding memorable. 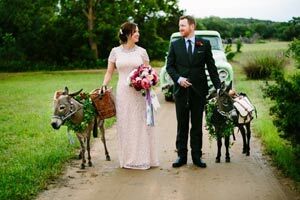 You might want to also check our 11 of the Best Central Texas Wedding Venues for a memorable and romantic wedding. 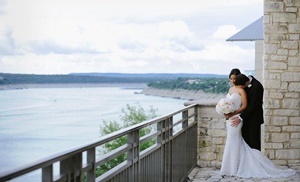 The Vista on Seward Hill offers a picturesque setting for a lavish, romantic, and fun wedding day. The grounds are filled with waterfalls, ponds, flower gardens, and statues. Unique crystal chandeliers & stylish elegant atmosphere makes The Vista on Seward Hill a setting where events are never forgotten! We invite you to tour The Vista On Seward Hill any Saturday 12-2 PM or any other day by calling/emailing for an appointment. The possiblities are endless...the ideas infinite... and the outcome flawless...for a romantic & fun wedding day! Come fall in love with the place you say “I Do”. 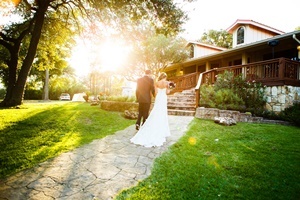 Angel Springs offers a secluded hill country location that your guests fall in love with, too! Enjoy our tree-shaded back lawn, a perfect site for your outdoor ceremony. Then step inside our beautiful, spacious ballroom with soaring ceilings for your elegant reception. We are conveniently located west of Georgetown and north of Austin. Call us today to visit our little piece of heaven. Leave the world behind and step into a romantic setting bordered by two spring fed creeks. A canopy of large trees creates a natural cathedral for you and your guests. A stone pathway leads you and your wedding party to the Gazebo centered in the lush lawn. Your guests can enjoy an evening in the tranquil outdoors near the fountain or on the 1800 square foot patio with fireplace, back lit waterfalls and circle seating around the large blue glass firepit or inside the custom built stone and oak beam Chateau with its many archways. As evening falls, the lawn is lit throughout with numerous flickering torches and the glow of white Christmas lights. Let us help you create “A Day You Will Remember for a Lifetime.” Check out the Chateau on the Creek Wedding Special that can save you up to $500! Also, check out the Chateau on the Creek Video in the brochure. Perched high on a hill you'll find a private southwestern style estate known as House on the Hill. This 10 acre property features gorgeous views of lush gardens, a trickling rock wall waterfall and panoramic views of the rolling west Austin hill country. House on the Hill has 4 cottages, which sleep 20 guests for a single night, a weekend or longer. The main house has 4 bedrooms, 2.5 baths and sleeps 8 people. It has a spacious full kitchen and laundry room onsite. The 3 cottages adjacent to the main house sleep 4 people each and have a full bathroom, refrigerator, microwave and coffee maker. The swimming pool has a large deck with a propane BBQ grill ideal for cooking out and visiting with friends and family. Tables and chairs are provided for up to 150 guests, matching the maximum capacity of the property for events like reunions, weddings and other celebrations. Multiple greenbelt entrances are close to House on the Hill, which are popular spots for hiking, swimming and biking. Other local attractions such as Austin's lively downtown and Town Lake are only 15 minutes away and beautiful Lake Travis is 30 minutes away. Celebrating 13 years in September, the Austin Area has come to know that Kindred Oaks stands for something beyond just getting married.They are invested in your future, too. 75% of their clients opt in to the package system for it's ease in planning and affordability! Kindred Oaks keeps it fun, they keep it simple, and they keep it going! Resting on a secluded, airy ridge and boasting a stunning, panoramic tri-county view, TerrAdorna is located within a private wildlife management estate less than 25 miles from downtown Austin. TerrAdorna’s contemporary Texas eclectic style, shady landscaped grove, and expansive view are perfect for celebrating your special occasion. Designed with flexibility in mind, the open, all-weather veranda will keep you cool in the summer, snug from the winter chill, or open up completely to the wrap-around deck, truly bringing the outdoors in. Soaring ceilings, open style architecture, and use of natural materials throughout, the facility and grounds are well-suited for intimate weddings of up to 150. Spring is especially beautiful, bringing acres of wildflowers to wade through. 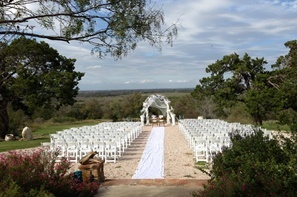 Here at Elope in Austin we don't just have 1 wedding venue we have many. 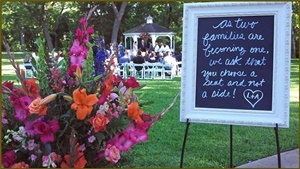 That's right we offer you a variety of venues to choose from for your elopement or small wedding. You can choose from The Micro Chapel at Star Hill Ranch in west Austin, Victorias Tea House and Garden or Chapel Dulcinea, or local parks like Umlauf Sculpture Garden, Mayfield Park, Lady Bird Wild Flower Center or The Botanical Gardens. And the best part is that we offer everything from a simple I Do to a full wedding with reception and ceremony. We want to exceed your expectations in every way so we go out of our way to make your day Memorable, Affordable and Simple! Check out the Elope in Austin Video. Remember our slogan You Say I Do ... We Do All The Rest! Tucked in the Texas Hill Country just 20 minutes from downtown Austin, Pecan Springs Ranch blends rustic elegance with historic charm and a whimsical flair. 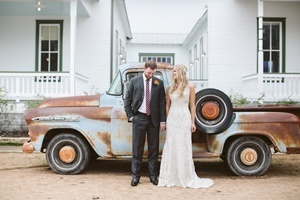 The sprawling 17-acre venue boasts a wonderfully preserved 1800s-era log cabin featuring reclaimed pine from the Bastrop fires and a grand stone fireplace. The large estate's stunning oak and pecan trees (of course! ), picturesque wildflowers, lush lawns and freshwater springs create a magical atmosphere for your special day. Choose from the 6,000-square foot indoor space, the 4,500-square foot outdoor covered pavilion or other beautiful outdoor ceremony sites. Lawn games, "drink donkeys", vintage chandeliers and outdoor bistro lights add a fun touch. At Lakeway Resort and Spa, we have a passion for creating exceptional wedding experiences. Our Catering and Food & Beverage team have more than 20 years of combined experience and are committed to creating your dream wedding. From the rehearsal dinner to the reception, our indoor glass Vistas Ballroom with floor-to-ceiling windows and breathtaking views of Lake Travis is the perfect venue for any event. 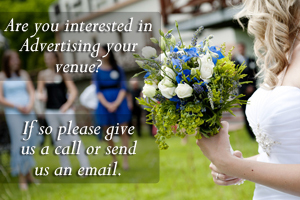 Are you interested in Advertising your venue? If so please give us a call (512 943-9430) or send us an email. Our wedding venues have excellent click through rates and will provide a superior return on your investment. 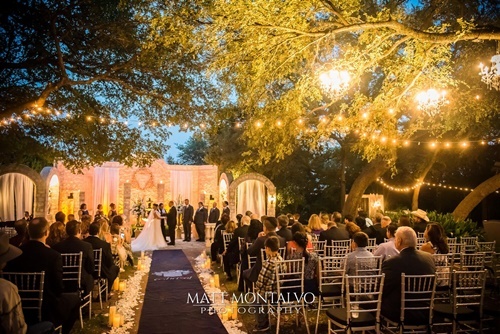 In fact, here is a brief testimonial from one of our clients:: "Since adding our information to Texas Outside's Wedding Venue Page wehave increased the monthly average number of unique visitors to our web site by 21%. We utilize several other web sites and Texas Outside immediately jumped to the top of the list of web sites where people find us. The other sites where we advertise are two to three times more expensive then Texas Outside and deliver half of the number of unique visitors. We are extremely happy with the results we are getting from Texas Outside and look forward to continued success with them in the future.